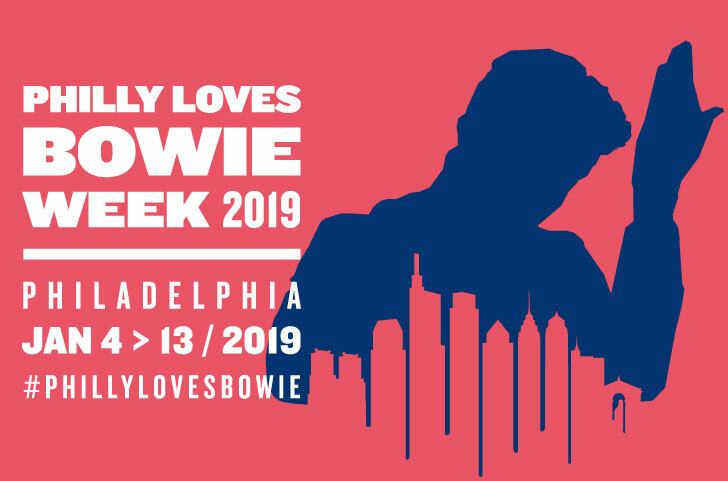 “Philly Loves Bowie Week” is an annual volunteer production of a family of fans of the Starman – music lovers who felt it was important to gather together as a city to celebrate the life and work of a truly one-of-a-kind performer. 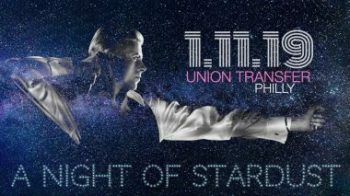 The show, which will be held at Union Transfer (1026 Spring Garden Street, Philadelphia, www.utphilly.com), is a fitting end to Philly’s annual tribute week to the late rock icon. 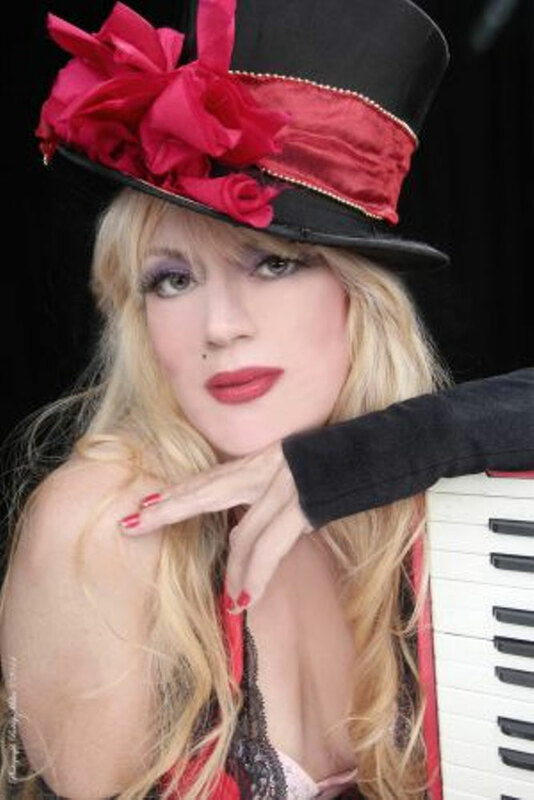 It is also fitting that one of the featured performers is Phoebe Legere. The event has sold out three years in a row — Wilmington in 2016, World Cafe Live in Philly in 2017, and at Union Transfer in 2018 — and is returning to the stage with an all-star lineup. Dan Kauffman (Glim Dropper) returns as the music director/drummer along with Keith Giosa on keys, Vahe Sarkissian on guitar, Joe Grillo on sax, Richard Ratner on bass, and Mark Teague on guitar. Lance Davis (Grady Hoss and the Sidewinders) returns as the vocal director and has enlisted Jeffrey Gaines, Ari Rubin, Michael Baker, Ava Cherry and Richard Bush to sing Bowie’s songs. “I went to a rehearsal for this show last Sunday,” said Legere, during a phone interview Tuesday afternoon from a branch of the New York Public Library. “There is so much talent on this bill. The songs are strong, and the lyrics are brilliant. Legere got to stand on stage and hear Bowie perform many of his greatest hits during the “Sound+Vision Tour,” which featured set lists of songs specially requested by his fans. According to Legere, “We toured all over the country together. I watched him night after night from the wings. Every performance was different. It was an education. After the shows we’d hang out for hours talking Tibetan Buddhism, Marc Bolan, Nina Simone, politics, the androgyny that is the heart of courageous and exuberant creativity, you name it. Legere, a talented singer, songwriter, instrumentalist who has released close to 20 albums, plays seven instruments including one she invented to help physically challenged children play music — the Sneakers of Samothrace. She is a Juilliard-trained composer and an internationally recognized visual artist. She offers small collectible paintings after each performance. Her most recent album “Heart of Love” is a hymn to life on the American Highway – and a Top 20 Americana album. 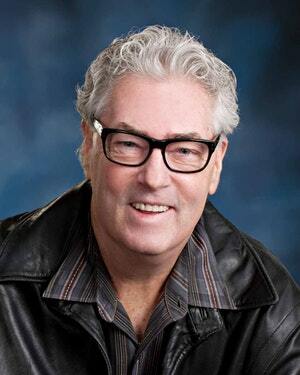 Legere’s music is a blend of Americana, Cajun, New Orleans jazz, country, folk and blues. She is an award-winning accordion player, virtuoso piano player, a rural folk blues guitar stylist, and an award-winning songwriter. A standard-bearer of the Acadian-Cajun renaissance, Legere is descended from one of the original Acadian families in North America. Her album “Acadian Moon,” which was released in 2015, received strong radio play in Canada. “Heart of Love” is faring even better – on both sides of the Canadian-American border. 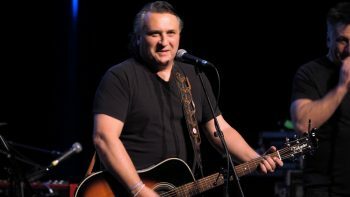 “A DJ friend of mine gave me a list of every Americana station in America – and a list of college stations,” said Legere, who has performed at prestigious venues around the world including Carnegie Hall, Lincoln Center and at the Congrés Mondial Acadien. In reality, the deejays were suckers for the music – after being lured in by the lollipops. Legere, whose debut album “Trust Me” was released by Epic Records in 1986, has a long and diverse artistic resume. While still in her teens, Legere was signed Epic Records as a songwriter. She led a number of influential New York bands, including Monad, 4 Nurses of the Apocalypse and her nine-piece swing-punk outfit Swingalicious. After the radio success of her 1989 album “Marilyn Monroe” (Island Records), and her appearance in numerous underground films, Legere shifted her focus to avant-garde classical music and was nominated for a Pulitzer Prize for her work with the Cleveland Chamber Symphony. Legere, who has had six of her original plays with music produced in New York City, did not enter the world of entertainment unprepared. She graduated from Vassar College, studied composition at the Juilliard School. She also studied piano at the New England Conservatory, and film scoring, orchestration and jazz arranging at the NYU Graduate School of Music Composition. Additionally, Legere studied composition with John Lewis of the Modern Jazz Quartet, Morton Subotnick, Wayne Oquin and Dinu Gezzo. She also studied jazz arranging with Ira Newborn and Rick Shemaria. According to Legere, the death of the record business is a much-needed correction. “Life in the music business is never easy,” said Legere, who has been embraced by the Outlaw Americana community and music lovers around the world. 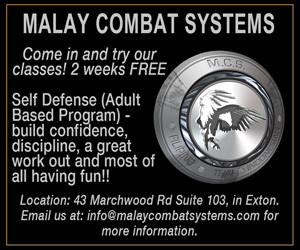 “It’s so competitive. At one point, record companies felt artists didn’t have to be musicians. Female artists got signed because they were pretty. They didn’t need good musicians. They could just use machines. Legere was too talented – and too smart – to be sucked into the world of being just another pop princess. In another of her many projects, Legere is the executive director of her own nonprofit organization — The Foundation for New American Art. The Foundation for New American Art is a 501(c)(3) not-for-profit corporation that fosters art and music education programs geared to underserved communities.The goal is to educate, nurture and strengthen the artistic and musical spirit of the children of low-income communities, as well as provide support for after-school programs. Legere visits schools, military bases, libraries with encouraging workshops — most notably her “Songwriting from The Heart.” Proceeds from Legere’s lectures and public performances will go to The Foundation for New American Art. Legere practices what she preaches. “Right now, I’m working with a program here in New York – the Lower East Side Children’s Chorus,” said Legere. 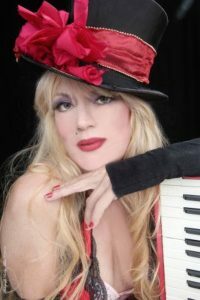 “It’s close to where I live in the neighborhood around Avenue D.
Video link for Phoebe Legere – https://youtu.be/Eq7VPpA1pTM. The show at Union Transfer on January 11 will start at 8 p.m. Tickets are $20. 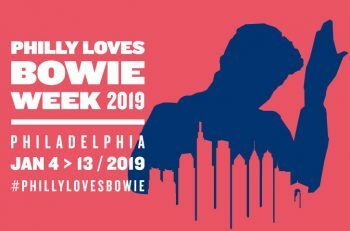 Other “#PhillyLovesBowie 2019” events this weekend are “Baby Can Dance: A Bowie Burlesque Show” on January 10 at 8 p.m. at Ruba Club (416 Green Street, Philadelphia), “The Martha Graham Cracker Cabaret” on January 11 at 7 p.m. at L’Etage (Sixth and Bainbridge Streets, Philadelphia), “Sound & Vision Happy Hour” on January 11 from 6-9 p.m. at The Trestle Inn (339 North 11th Street, Philadelphia), “Serious Moonlight – The After Party” on January 11 at 10 p.m. at PhillyMOCA (531 North 12th Street, Philadelphia), Donny McCaslin Group on January 12 at 8 p.m. at the Foundry (29 East Allen Street, Philadelphia), and “A Snowy Bowie Skate” on January 13 from noon-6 p.m. at Blue Cross RiverRink Winterfest (Penn’s Landing, Delaware Avenue, Philadelphia). Other upcoming shows at Union Transfer are Noname on January 12 and the Lemon Twigs on January 15. “We’re not doing the acoustic ‘Villains’ any more,” said Vander Ark, during a phone interview last Friday as the band was travelling on Interstate Route 80 from Dubois, Pennsylvania to a gig at the City Winery in New York. “We’re still doing some acoustic – and more stories this time out. We’re trying to tell a linear story. “I try to keep a set list from all our shows so that I can look at what we played the last time we were in each of the places we’re playing again this time. That way, we don’t tell the same stories. In 2017, The Verve Pipe released its latest studio album, “Parachute,” along with the band’s first-ever live album, “Villains – Live & Acoustic (recorded at The Ark in Ann Arbor, MI).” With a new lineup and a renewed energy and focus, lead singer/principal songwriter/co-founder Brian Vander Ark and the band, play original music that is distinguished by innovative arrangements, soul-searching lyrics and layered vocals. “We recorded ‘Parachute’ in 2016,” said Vander Ark. “A lot of these songs were written by individuals in the band as a shell and then brought to the rest of the band to fill out. This is the best we’ve ever done. I’m surrounded by talented people. We cut the album at our bass player Joel Ferguson’s studio. We played live in a room to do the demos. We’d work on songs and then record together in the studio. The Verve Pipe has been making top-flight rock and roll records since its formation in Michigan in 1992. And, there is no end in sight. “We’re working on our next album,” said Vander Ark. “We try to go into the studio for a two- or three-day block of time and get a song done. That’s what we’ll be doing over the course of the next year. We’ll be putting some singles out along the way. Video link for The Verve Pipe – https://youtu.be/5FY2k2KUf-k. The show at the World Café Live, which has Looseleaf as the opening act, will start at 8 p.m. Tickets are $25. The World Café Live will host a very special event on January 12 – the Light of Day Foundation WinterFest. The Light of Day Foundation WinterFest returns to the World Cafe Live with a talent-laden line-up featuring Willie Nile along with special guests Jesse Malin, James Maddock, The Weeklings and Joe D’Urso & Stone Caravan — all playing in full band configuration. 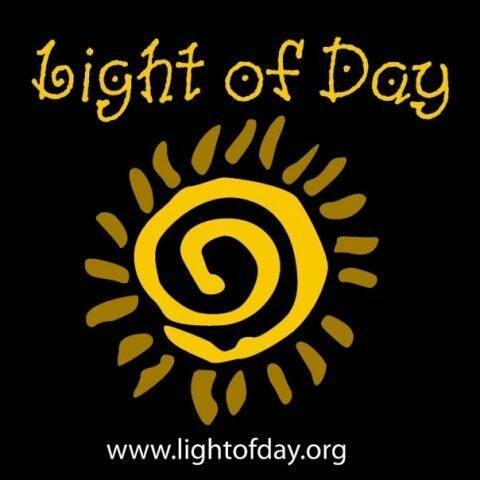 The Light of Day Foundation, Inc., utilizes the power of music to raise money and awareness in its continuing battle to defeat Parkinson’s disease and related illnesses such as PSP and ALS within our lifetime. The Foundation’s mission is to fund research into possible cures, improved treatments and support for patients who suffer from those illnesses, their families and their caregivers to help improve their quality of life. The primary fundraising efforts are an annual series of concerts. Since its inception in 2000, Light of Day has raised over $4.5 million in the fight to find a cure for Parkinson’s disease. What began as a single concert in New Jersey has grown into approximately 70 shows in 13 countries on three continents. The concerts and the organization began as a birthday party in November 1998 at the Downtown Cafe in Red Bank, New Jersey to celebrate the 40th birthday of artist manager and music industry veteran Bob Benjamin. Benjamin had recently been diagnosed with Parkinson’s disease, a degenerative disorder of the central nervous system, and in lieu of gifts, asked that donations be made to the Parkinson’s Disease Foundation. More than $2,000 was raised that night. Spurred by the generosity and support, Benjamin reached out to friends, including concert promoter Tony Pallagrosi and musician Joe D’Urso, and formed the Light of Day charity, taking its name from a Bruce Springsteen song. The first official Light of Day concert was held at Asbury Park’s legendary Stone Pony in November 2000 and primarily featured local, unsigned artists. The critically acclaimed Pittsburgh-based band Joe Grushecky and the Houserockers (managed by Benjamin) headlined the show, which featured a surprise appearance by local hero Bruce Springsteen, who joined the Houserockers for a raucous hour-long set. Over the years Light of Day has grown from a one-day event into a festival spanning 10 days. Performers at Light of Day have included Bruce Springsteen, Michael J. Fox, John Rzeznik, Ed Kowalczyk, Darlene Love, Southside Johnny, Jesse Malin, Alejandro Escovedo, Willie Nile, Garland Jeffreys, Jakob Dylan, Lucinda Williams, Badly Drawn Boy, Pete Yorn, Gary US Bonds, Joe D’Urso and Stone Caravan, and John Eddie. Joe D’Urso & Stone Caravan is an Americana/Jersey Shore rock-and-roll band that has been around for a long time. That line-up features drummer Sam LaMonica, bassist Jerry Scaringe, guitarist Greg Lykins and D’Urso. Joe D’Urso & Stone Caravan released their 14th album “Jersey Diner” earlier this year. The 14-song album features 11 songs written by D’Urso and three covers of songs by Tom Waits, Bruce Springsteen and Sandy/Harry Chapin. “We play 70-80 shows a year,” said D’Urso. “I tend to do tours rather than just gigs. We do two European tours a year and that’s about 40 shows. We have to work around other band members’ schedules because Jerry has a rockabilly band called the Slippery Chickens and Greg is in a band called The Liberals. “Our music is a mixture of Jersey Shore and Americana. 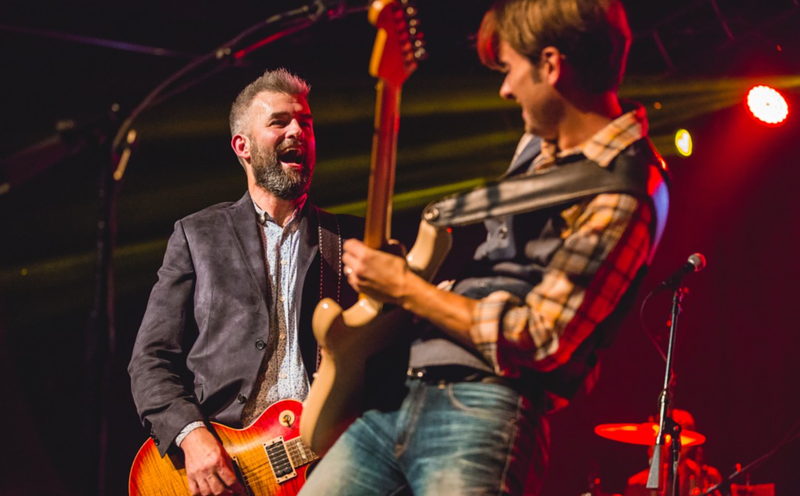 Influences are Americana rockers like Tom Petty, John Mellencamp and Bob Seger and acts from our backyard such as Bruce (Springsteen), Southside (Johnny) and Little Steven (Van Zandt) – all good songwriters. Video link for Joe D’Urso – https://youtu.be/5-4GXiKRGXc. The Light of Day Foundation WinterFest on January 12 at the World Café Live will start at 7 p.m. Tickets are $30. Ruby The Hatchet, The Age Of Truth, Wasted Theory, and Brain Candle on January 16. Kennett Flash (102 Sycamore Alley, Kennett Square, 484-732-8295, http://www.kennettflash.org) will present Big Daddy Graham with Spins Nightly on January 11 and 33 1/3 Live’s “Killer Queen Experience — Performing ‘A Night at The Opera’ and ‘Queen’s Greatest Hits’” on January 12. 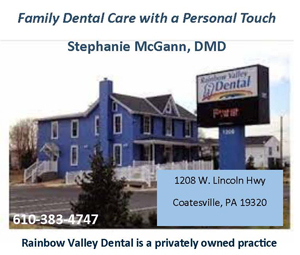 The Steel City Coffee House (203 Bridge Street, Phoenixville, 610-933-4043, www.steelcitycoffeehouse.com) will host Cerebelles. Mighty Joe Castro and the Gravamen and The Cozy on January 11, Kicking Down Doors with Vilebreed on January 12 and Earth Song Music Lessons Winter Concert Series on January 13. The Ardmore Music Hall (23 East Lancaster Avenue, Ardmore, 610-649-8389, www.ardmoremusic.com) will present “Friends of the Brothers: Allman Brothers Celebration ft. members of Jaimoe’s Jasssz Band, Dickey Betts Band, Les Brers” on January 10, EPMD with Hezekiah, Dell P, Mic Stew, and DJ Gary O on January 11, and The Samples with Rugby Road on January 12. The Academy of Music (Broad and Locust streets, Philadelphia, 215-731-3333, www.kimmelcenter.org) is hosting “Beautiful – The Carole King Musical” now through January 20. The Keswick Theater (291 N. Keswick Avenue, Glenside, 215-572-7650, www.keswicktheatre.com) presents David Sedaris on January 11. The Sellersville Theater (24 West Temple Avenue, Sellersville, 215-257-5808, www.st94.com) will host Albert Lee on January 10, Earl David Reed on January 11, Alex Skolnick Trio on January 12 and Ricky Skaggs & Kentucky Thunder on January 13. The Locks at Sona (4417 Main Street, Manayunk, 484- 273-0481, sonapub.com) is presenting Caitlin Canty with special guest The Oshima Brothers on January 10 and Scot Sax Philly Soul Revue plus Suzie Brown and Sally & George on January 12. Jamey’s House of Music (32 South Lansdowne Avenue, Lansdowne, 215-477-9985, http://www.jameyshouseofmusic.com/) will present The Kennedys on January 11 and Visible @ Night on January 12.